Meaning: For then (i.e. for samAdhi) finding our seeing principle entails insight into our own nature. One can see from the above definition that though samAdhi may have a different connotation in terms of siddhAnta (doctrine) in the dualistic Patanjali Yoga, it has the same significance as a prakriyA (a practice which aids in achieving Self-realization) in Advaita. As a result, the word “samAdhi” got easily accepted into Advaita. Shankara used it as a holding term bundling the classic Advaita methods of shravaNa, manana and nididhyAsana, etc. (brihat upa mantra 2.4.5, chAndogya 8.2.1, and meditation on Aum (muNDaka 2.2.6)) while commenting on brahma sUtra 2.3.39. He did not hesitate to say “समाधिविधानात्” (samAdhi is enjoined) in his commentary at 2.3.40. Venkat had cited several instances where Shankara gave primacy to vairAgya (renucniation) for a seeker aspiring Self-realization. We note from brihadAranyaka that Yajnavalkya who explicates the subtle intricacies of Advaita Vedanta to his wife, Maitreyi, still opts to take up samnyAsa, in spite of his incontestable knowledge of the philosophy. In addition, we have already seen in Part -2 the importance given to detachment and dispassion by Sage Vasishta. Here are a couple of more examples where the word samAdhi has been used in Yogavasista in order to connote the position of a Self-realized being and how it is closely linked with dispassion and detachment. i) “Rama, you seem to be under the impression that samAdhi may be lost after a while in spite of the fact that a lot of effort has gone into obtaining it. Your effort has a meaning only till Pure Knowledge arises in you. Once the realization takes place, it will never be lost. You need not try again and again to get it. There is no end to the samAdhi obtained by a Knower of Truth. आहृतं येन तन्नूनं तस्मै नृब्रह्मणे नमः ।। — shloka 46, sarga 45, Ch 6: Nirvana, Book 2. The fundamental prop for the entire process is the higher detachment. When once one is detached, Realization of Self and samAadhi automatically follow without exception. Nobody can stop the process. — samAdhi, Book 2, Ch 6, Nirvana. ii) “Desire for material comforts is the first block in realizing “I am myself Brahman.” Kill desire. For, as long as you have desire for pleasure, you are for certain stuck in the rut of the world. विषयेषु रतिर्यावत्स्थिता संमोहकारिणी ।। — shloka 38, sarga 24. — The Story of Emperor Bali, Ch 5: The Calm Down. There appears to be a concept that the jIva “HAS acquired something new in terms of the understanding in the mind [after obtaining the Non-dual teaching from the scripture or the teacher.] Previously he did not have Self-knowledge; now he does.” It is tantamount to saying that the scripture has “produced” the new Knowledge in the jIva. Shankara speaks differently. The scripture serves only as a remembrancer. It does not produce anything new, asserts Shankara in his bhAShya at mantra 1.4.10, brihadARaNyaka upanishad. Advaita holds Self-knowledge as “prAptasya prAptiH (प्राप्तस्य प्राप्ति:), which means rediscovering what we already possess.” Knowledge of the Self is a siddha vastu (accomplished thing) and not a sAdhya (to be achieved). One has to be reminded only – like in the Story of The Misplaced Necklace. Comans in his article on samAdhi states that vivekacūḍāmaṇi “is highly unlikely that it is a genuine work of Shankara.” Much discussion has already taken place among Advaitins on this topic. The only observation I would like to make now is about the generally prevalent thought within the sampradAya. It is said that Shankara adopted uniformly the adhyAropa–apavAda model in all his bhAhyA-s which were meant mainly for debates with other philosophical schools of thought. For his own disciples and followers, however, he used the shorter texts (prakaraNa grantha-s) wherein the recommended approaches were many and not necessarily adhyAropa–apavAda only. It is too much of a tunnel vision to believe that a genius like Shankara lacked a wide variety of methods in his tool box for teaching Advaita and to conclude based on such a premise about the authenticity of authorship of a text. Secondly, we have also seen in section 1 above (Yoga Terminology in Advaita) a small sample of scriptural citations out of many that are available where Shankara does refer to the process of samAdhi . The analysis done by Dennis comparing different translations of the verses from vivekacūḍāmaṇi is undoubtedly brilliant and quite scholarly. I am not however, sure that such an academic research approach is very fruitful in Vedanta studies. We know that the word meanings are not always significant in understanding the tATparya (the main purport) of a message in the scripture. The explication given by even one single true Knower will be far more valuable than what a hundred other bookish translations say. Hence, IMHO, the vivekacūḍāmaṇi verses as explained by a Pontiff of Sringeri have to be accepted as the gold standard compared to any other works.The Sringeri Acharyas respect and revere what vivekacūḍāmaṇi teaches as a reliable methodology within the sampradAya. Admittedly, the above arguments do not “prove” the authenticity of the authorship of vivekacūḍāmaṇi, but they do show that the argument of Comans is not beyond doubt. English being an Agentative language, it is difficult to appreciate the meaning of the Sanskrit words like “anubhava,” “anubhUti” (which are usually translated to mean “experience”) without positing a doer as the subject in a sentence. Derived from the root ‘bhu‘ to be, happen etc. bhava refers to something that has happened / manifested. The prefix “anu” means after. So ‘anubhava‘ or ‘anubhUti‘ refers to something after it has happened. The happening itself is not dependent on a subject, i.e. a knower or an experiencer. IOW, an experiencing can be there even in the absence of a knower / experiencer. An event or a situation is “known” as an info (prama = knowledge), when three things come in place – the knower (pramAtr), a means to know (pramANa) and something to be known (prameya). In the day to day life of duality all the three components exist. They are referred to as the tripuTi (triad). This entry was posted in Ramesam and tagged contemplation, deep meditation, enlightenment, experience, Knowledge, meditation, moksha, nirvikalpa, Sage Vasishta, samadhi, shankara, Vedanta, yoga, yogavAsiShTha by ramesam. Bookmark the permalink. One of the best pieces I have read on this site..many thanks. It is directly relevant to the question Dennis asked me in the previous (samAdhi Again – 2) article about the place of thought in this whole quest. I will not cut and paste but here is a penetrating essay on the topic. I am obliged, Shishya, for the kind words. Many thanks for the wonderful link to the amazing article on Experiencing. 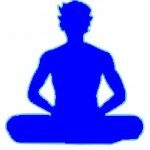 Thanks Ramesam – your three articles on Samadhi are an erudite clarification of some important areas of confusion in Advaita. Shishya – I think your JK link is a very clear pointer to what advaita means by no mind, no thoughts . . . as opposed to the mundane, straw man definition and spurious dismissal by Dayananda, Swartz et al. I fear I may have to give up after all, my aspirations for light_of_venkatacharya.com. Perhaps if I offer satsangs on the slopes of Arunachala, I can find a niche . . .
“Realization” is not difficult to mimic, judging from the number of charlatans who claim to be “enlightened” and are believed by the masses. Many such “teachers” do this by redefining the phenomenon and disparaging those who know/knew, but can/could not speak. I am still trying to catch up with previous posts, and here you are posting an excellent analysis, which however warrants a few comments! I am just in the process of completing my collation of Shankara references in repsonse to the criticism of Venkat and Shishya, and will post that later today hopefully. Here are just a couple of observations on your post whilst I have them in mind. 1) In your point 3, you refer to Br. Up. Bh. to quote from Shankara that the scriptures do not give rise to knowledge. The bhAShya on this sutra is enormous, extending to about 19 pages of small text in Swami Madhavananda’s translation, and I cannot immediately put my finger on your extract. What I did find was this: ” Therefore there can be no question about knowledge removing ignorance, whether it be first or last, continous or non-continuous, for knowledge culminates in producing the cessation of ignorance and other evils… there is no scope whatosoever for any objection.” So the point to which you refer can only be saying that the scriptures cannot change our true nature, which is always the same non-dual brahman. But it cannot be denied that they remove the Self-ignorance that is preventing us from recognizing this. And they do this by showing us this or ‘giving us’ Self-knowledge. Quibble with words as much as you like, this is what happens. 2) You say that Shankara sometimes does not use the adhyAropa-apavAda method. I would contest this on the grounds that ANY and ALL teaching, without exception HAS to use this method, for the simple reason that reality cannot be directly spoke of, having no attributes. Thank you very much Venkat and Dennis for the kind observations. Please allow me to respond here to the first and third points you made. I shall come back regarding the second point in a bit as it requires some time for drafting. (jynApakaM hi shAstraM na kArkaM iti sthtiH). I did not use Madhavananda translation. This is available at p: 182/987 in the pdf I have. So you do see a value in such studies at least for a humorous dig at me. Anyway, thanks for adding a light moment in these serious discussions. (Trust you will enjoy and will not look askance at me). I shall come back a little later with regard to the other point(s). This Feynman anecdote about the Emperor of China’s nose is not one of his best, really. If you sample a lot of people, you will get a very PRECISE estimate but that has nothing to do with ACCURACY which concerns the BIAS in estimates of the true value of a nose length (parameter!). It may be even be the case that some of the Advaitic tradition is very precise but not accurate at all…searching under the street lamp because that is where the light is, and redoubling your efforts when you come up empty handed. 1) In the Gita 2-44 the word ‘Samadhi’ is interpreted by Shankara as ‘Samadhi means Buddhi or Antahkarana, in which are gathered together all objects of enjoyment for the Purusha, the individual soul’. Here Shankara says that the conviction of a resolute nature of the intellect is called as Samadhi, meaning one cen determine whether to go towards the worldly enjoyment or towards emancipation and for both, the resolute nature of the intellect is the main cause. Hence Samadhi means Buddhi. 2) In the Gita 2-53 the word ‘Samadhi’ means the Self. The mind or the intellect gets completely still when one cognises the true nature of the Self by discrimination. Hence the Self is called as Samadhi. Dhi means the Self. Except cognising the real nature of the Self there is no equipoise of the mind. So in the 54th stanza of this chapter the word ‘Samadhistha’, means one who is already established naturally in his true nature as the Self. Self is called as Samadhi. From the standpoint of the Self, in the Self alone the mind gets the equipoise and hence the Self is called as ‘Samadhi’. Thanks Venkat for your Comment. The BG and GK references were discussed by me in Part – 1. Yes, I did miss out writing about BG 2-44 (व्यवसायात्मिका बुद्धिः समाधौ न विधीयते ॥). Thanks for bringing up here. However, the full context of the verse cannot be understood by separating it out from the preceding two verses. ‘samAdhi’ here refers to the mind / buddhi of the “unwise” lost in panegyric texts and flowery words. It does not appear to me that Shankara in his commentary talked abut having a “choice,” as indicated in your quote of SSSS (“one can determine whether to go towards the worldly enjoyment or towards emancipation and for both…”). The other two references cited by you are about the same as I have also written in Part – 1.
knowing It, is to disregard every such ascription and Intuit It just as It is, our own self-established Self free from all imaginable constructs of Avidya, aye, from Avidya itself for that matter. not void; another, myself, or some one else – whosoever tries to ascribe such constructs of imagination to this Absolute beyond speech and concepts would as well try to roll up the sky like a piece of leather or to climb it up with his steps as though it were a flight of stairs, or to get on the trail of birds in the sky or of fish in water.” (Ait. Bh. concluding observations on the first chapter). If this is not mysticism, what is it then? As of now, I can only console myself with this from the end of Talk 28 with Sri Ramana Maharshi. (a) Is omniscience of God consistent with ego’s freewill? (b) Is omnipotence of God consistent with ego’s freewill? (c) Are the natural laws consistent with God’s free-will? M.: Yes. Free-will is the present appearing to a limited faculty of sight and will. The same ego sees its past activity as falling into a course of ‘law’ or rules – its own free-will being one of the links in that course of law. Omnipotence and omniscience of God are then seen by the ego to have acted through the appearance of his own free-will. So he comes to the conclusion that the ego must go by appearances. Natural laws are manifestations of God’s will and they have been laid down. I agree with what you said about the choice of words used by Dr. Feynman regarding “accuracy.” But the point I was making more in the context of selecting a research “method” to examine the authenticity of Shankara’s authorship of vivekacUDAmaNi. If there is a doubt, let us note that Sringeri has accepted it as Shankara’s authentic work and included it in their database, Advaita shAradA. With reference to your R. Dawkin’s quote and how to avoid the unpleasant, the ugly and the undesirable, I would like to submit that we don’t have to either look for a consolatory approach as you seem to suggest or develop insensitivity through a lackadaisical attitude by declaring it all to be mere “mithya” as some other authors seem to say. Advaita is about going totally beyond both the so-called good and bad, desirable and undesirable, acceptable and rejectable etc. pairs of orthogonal pairs of opposites. Advaita is about “transcending both and not be selective” using the puny human mind as a decision gate. JK used to say that the true mature mind is that which can neither hurt nor be hurt, echoing almost in exact same words as the BG verse above. Venkat too, IMHO, in his comment above, does not say anything different. That has to be one of the most beautiful verses in BG. Thank you for reminding us of it.